Pokemon Go has been around barely a month, and already, we are getting some crazy rumors coming out of Japan, the country that is originally responsible for creating Pokemons. Yes, if we are to believe this absolutely absurd rumor, our pets can see the Pokemons. What’s more, is that they probably don’t even need your phone to augment the little magic creatures in front of them. All they need is a bit of fur and loads of cuteness and viola, they can see Pokemons everywhere. Don’t believe it? Have a look at the pictures below. Of course, the rumor is just the part of the fun. Most of these pictures are just accidental(or intentional) and just go on to solidify our love for Pokemons. 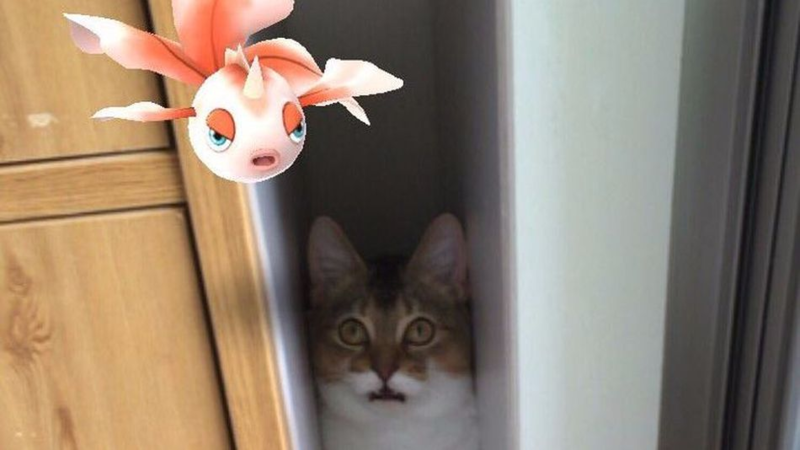 But, we have to agree, it would be fun to have pets that could actually see Pokemons, wouldn’t it? Maybe, one day, we would! The post Here’s why some Japanese say pets can see Pokemons in Pokemon Go appeared first on TechJuice.